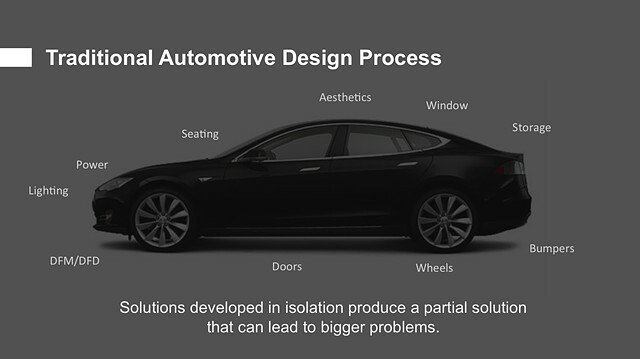 When designing a vehicle, designers often look at the systems or sub-systems within the product, since this is what is required from the traditional and current design process. This process is flawed because designers do not look at the bigger picture. One of the reasons why there are so many challenges with current mobility options in the US is because when vehicles are designed and put into production there is little consideration to how the vehicle will operate within the environment. Cars and vehicles are typically designed in isolation, which can lead to bigger problems.